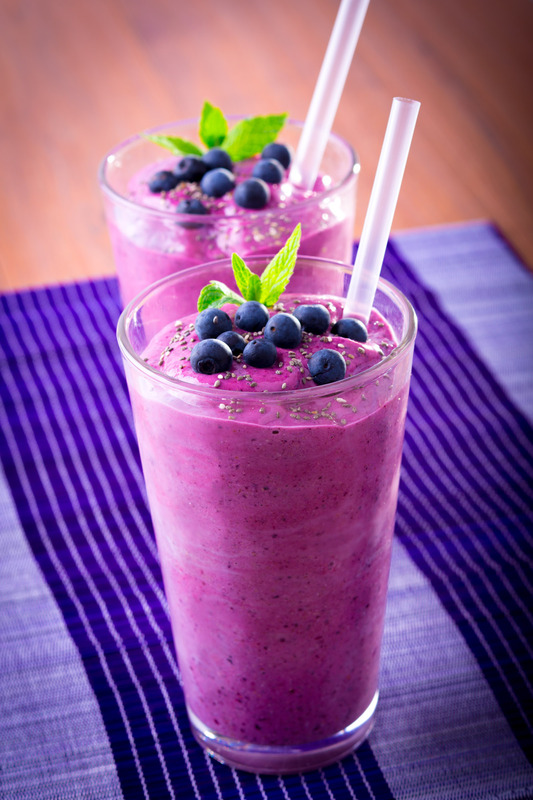 Always put the softer ingredients in the bottom of the blender when making smoothies. That way the blender is up to speed when the harder ingredients start hitting the blade and they are introduced slowly. If you want a striped look add a couple of tablespoons of milk to the blender at the end and blend for around 1 second. When you pour into a glass you will have streaks of un-mixed milk. Instead of quinoa you could use brown rice, oats or any other whole grain you have leftover in the fridge.